I’m too afraid to run grep against the Rubenerd source to discover the occurances of… dang. … to find the occurrences of these. Or rgrep, or ack, or some bad pipes involving find, some mean Perl foo. 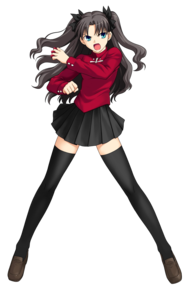 Or I suppose I should be saying Ruby gems in the presence of Tohsaka.